Welcome to the Sheyenne Valley Friends of Animals (SVFA) Website! COURTESY LISTING. PLEASE CONTACT PERSON LISTED IN AD. Message from Deville’s family. It is with deep sadness, that I must rehome my companion. With this new job I am just not home enough to be with her and she’s lonely and it’s so unfair to her. When I got her from the humane society 2 years ago I was her 2nd owner as the first owner had passed away so being alone for long periods of time is not ideal for her. I refuse to take her back to the humane society as she is past herprime and I fear she will not be adopted. 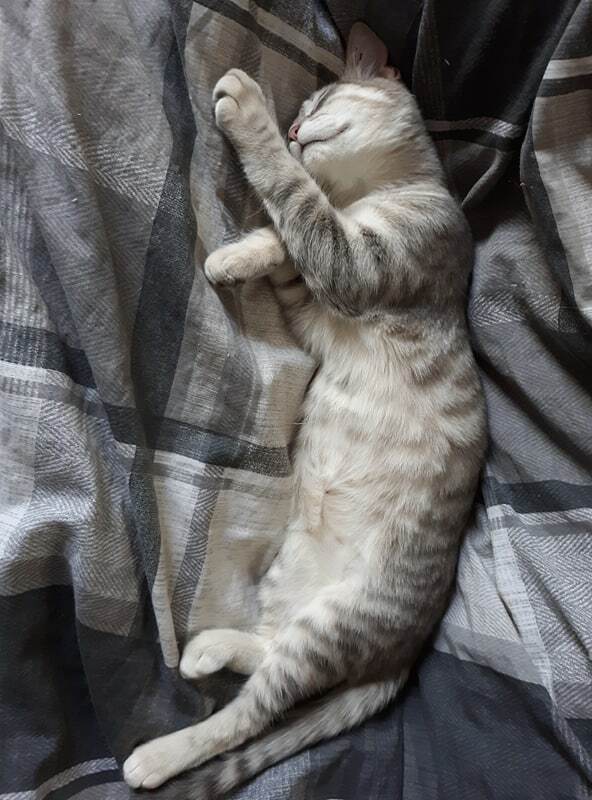 She is healthy, clean and lazy. She doesn’t play much and isn’t needy other than liking to be petted. Deville is spayed and well behaved. She does not like kids and does not like to be held much. 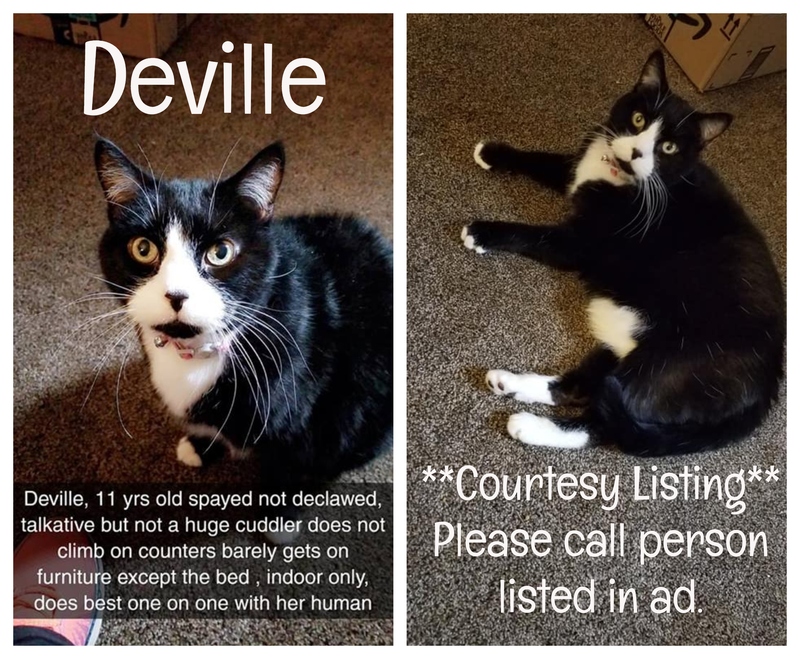 She does not jump on counters of tables.She is currently located in Valley City, ND but I will travel a reasonable distance to bring her to her new home. Call Cherie at 840-1046 if interested. Anyone inquiring about Courtesy Listings with the Sheyenne Valley Friends of Animals (SVFA) should contact the current pet owner for answers to any questions and for final approval and placement. SVFA has no first-hand knowledge of the animals listed. SVFA explicitly disclaims any liability for any situation arising from this private adoption nor makes any guarantees about the health or safety of these animals. Meet the newest member of the SVFA Club! 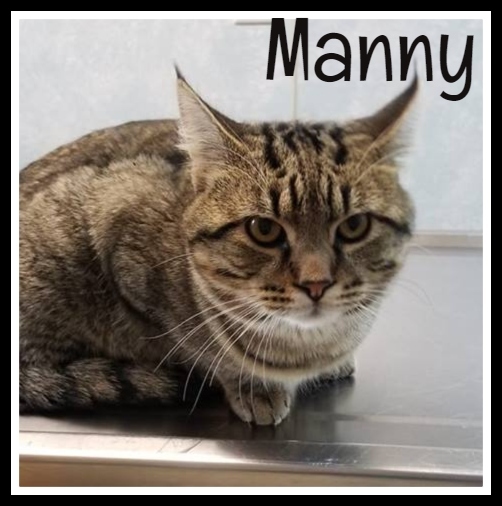 His name is Manny and is a giant LOVE BUG! 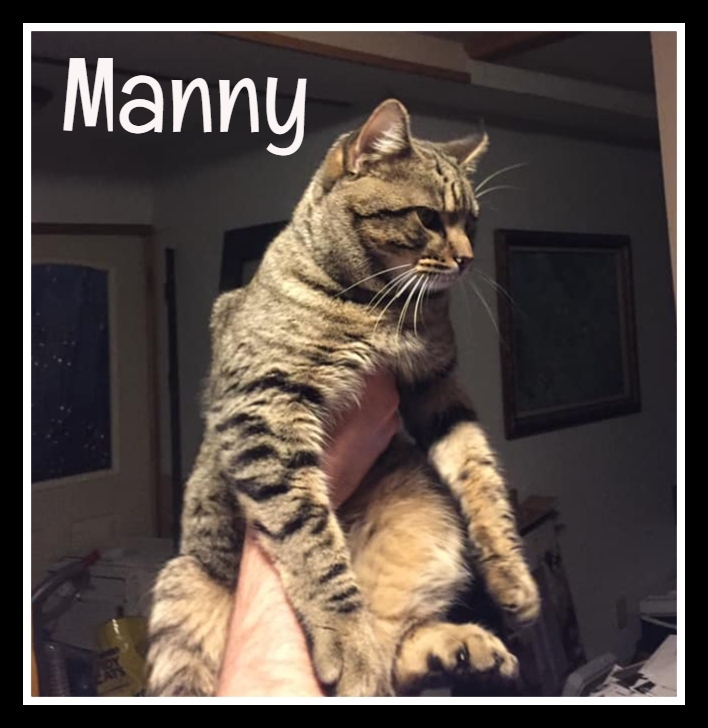 Manny is playful, energetic, very lovable and affectionate. He is new to his foster home and is taking some time to adjust to his cat playmate, but we think in time they will become best friends. 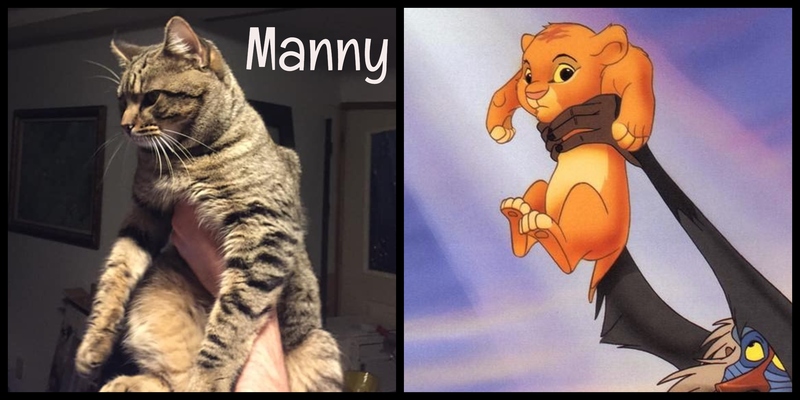 Manny would make someone an excellent companion animal! 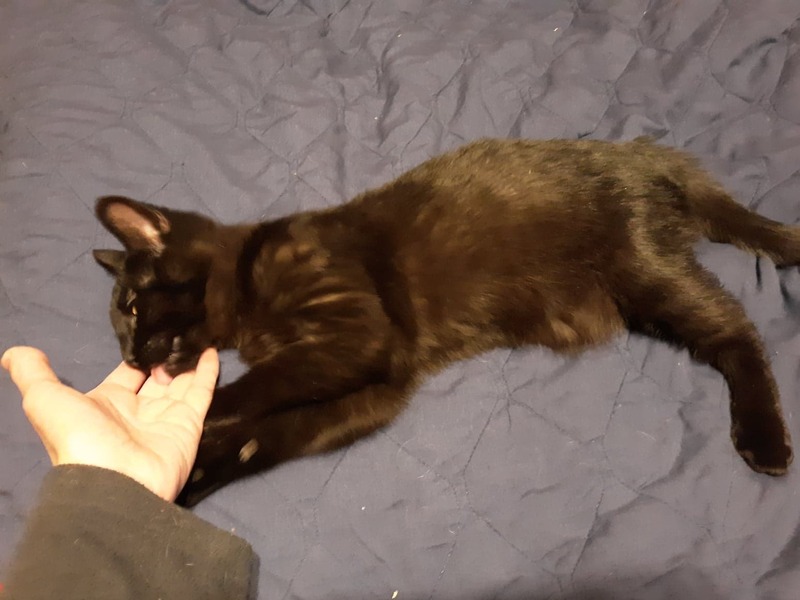 He is approximately 2 years old, neutered, microchipped and vaccinated. Please contact SVFA at 840-5047 if you are interested in adding a cat to your family. We have two kittens, Mia & London, who have been enjoying each others company in their foster home. We thought that it would be great if they could find a forever home TOGETHER! This pair enjoys exploring, playing, sleeping, grooming, eating and finding mischief together. Do you have room in your heart & home for TWO KITTENS? Why are TWO kittens better than ONE?? *One kitten can get bored & lonely. other animals in the home. *Two kittens are VERY ENTERTAINING! *You’re saving 2 LIVES instead of ONE. 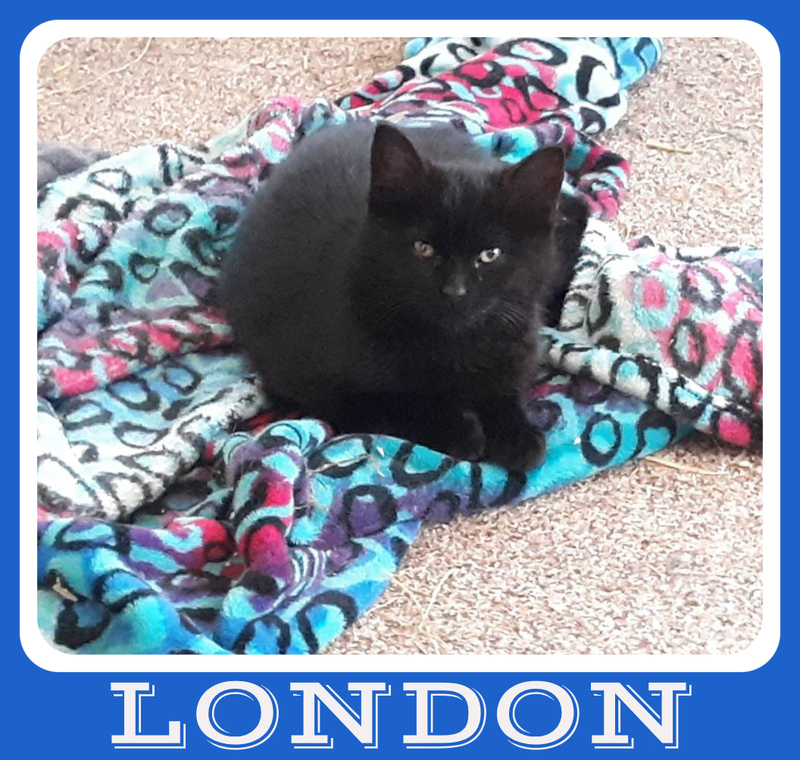 London is a 5 month old male. He is timid and still gaining confidence amongst the cat hierarchy at his foster home. 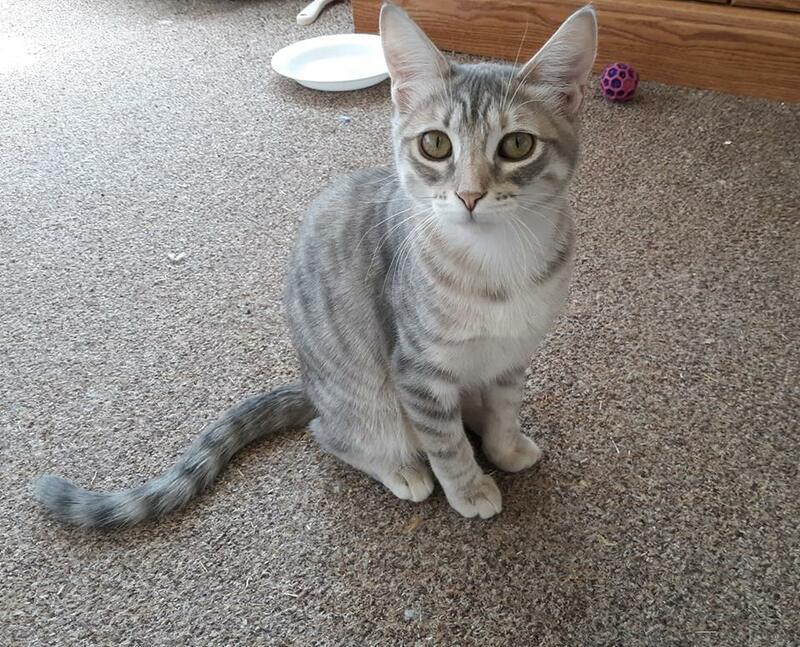 London would probably prefer to be an only cat or to have a cat companion who is gentle and friendly. He prefers dogs who are polite and calm around cats. It will take a person with patience to allow London to approach on his terms, but once London thinks you’re OK….watch out! He will come to you with lots of LOVE and AFFECTION! He is extremely affectionate with his foster mom. 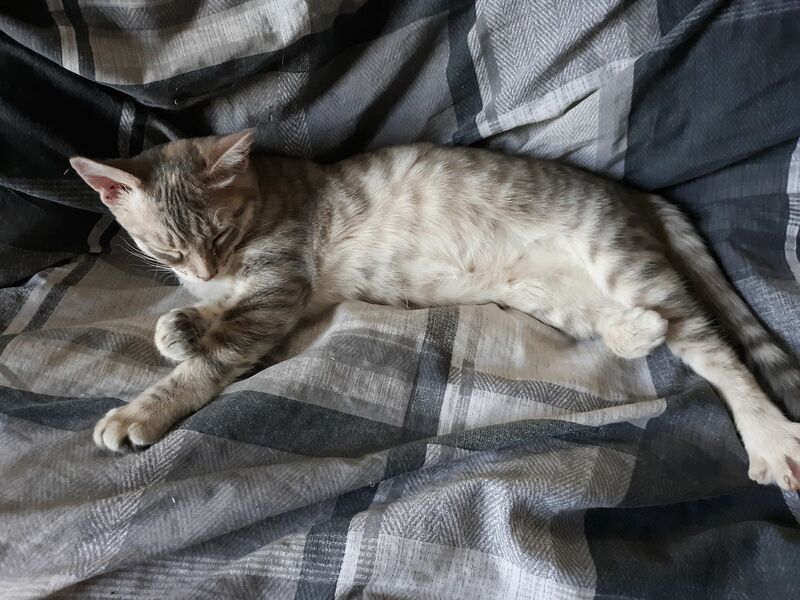 He is neutered, vaccinated and microchipped. 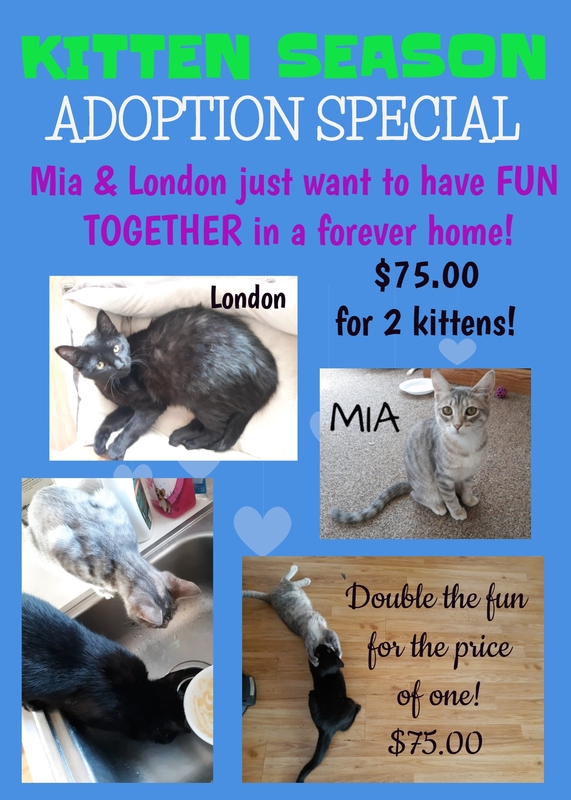 Call SVFA at 701-840-5047 or visit our website at svfanimals.org for a “Pre-Adoption” application if you are interested in London. 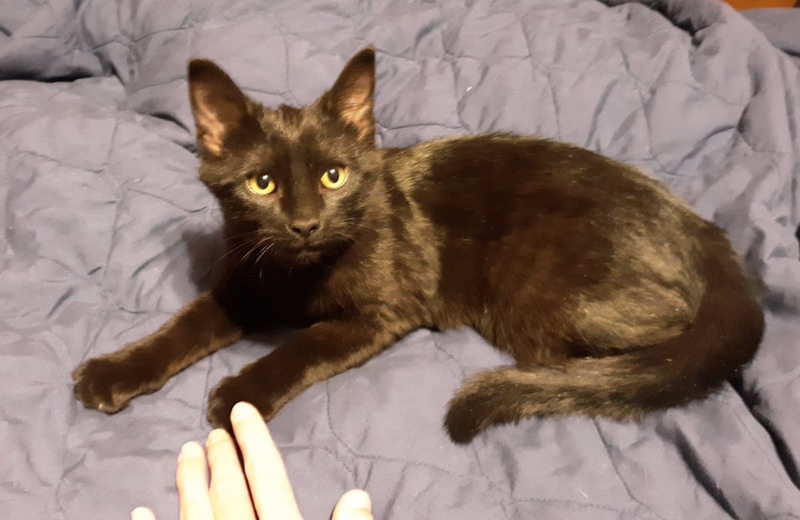 Mia is a 6 month old female kitten. She has come a long way since her first few weeks in foster care and we are so proud of how far she has come! Mia is getting used to meeting new cats and dogs. She craves human interaction and will meow sweetly for it. Mia is still coming out of her shell so please no kids under 8 years of age. She does well with pet birds and Guinea pigs, too. Mia is vaccinated, spayed and microchipped. Please call SVFA at 701-840-5047 or visit our website at svfanimals.org for a Pre-Adoption application.